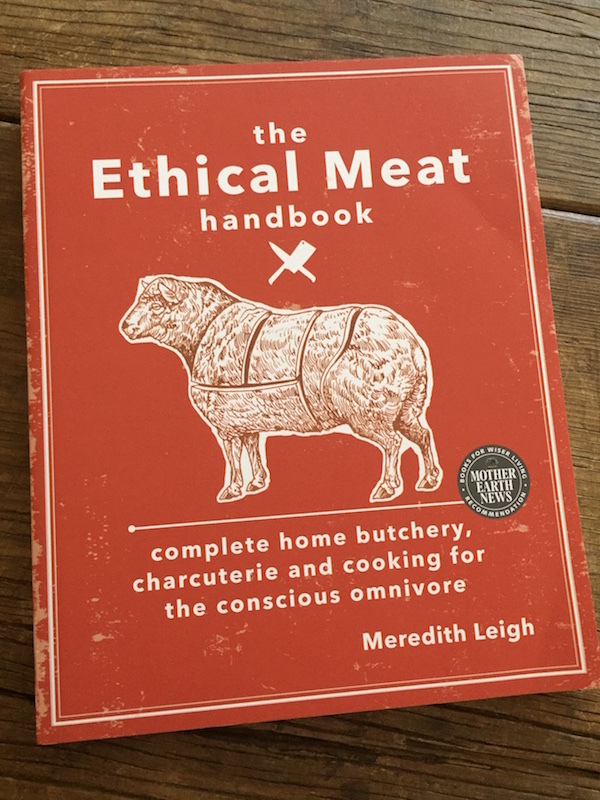 The book is organized into the following sections and chapters: Introduction to ethical meat, general notes on raising, cooking, and eating animals, beef, lamb, pork, charcuterie, and poultry. 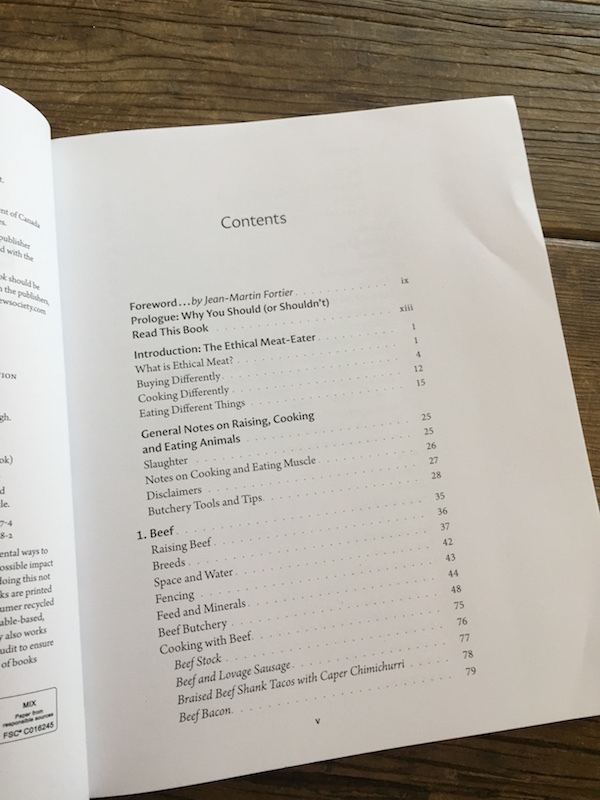 Each of the meat chapters includes recipes. 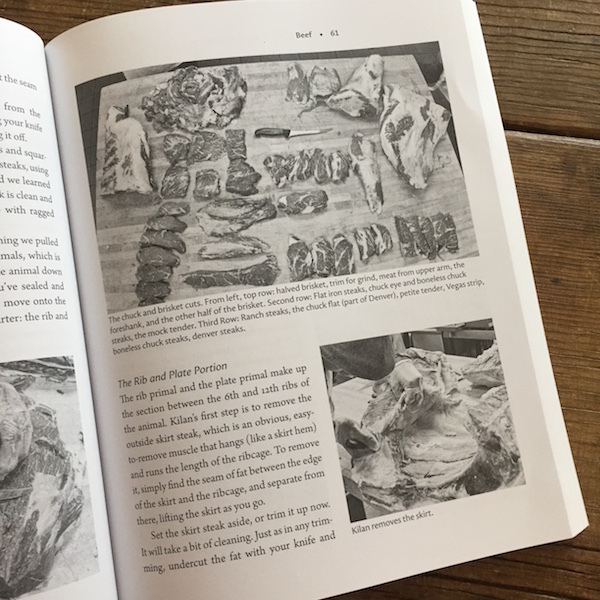 The interior design of the book is clean, with easy-to-read fonts and plenty of instructional photographs. Black and white photographs throughout the book teach the techniques that are described. 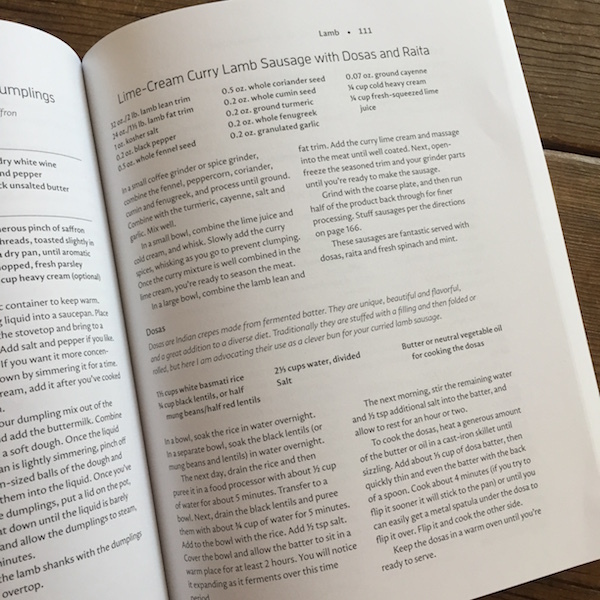 Recipes include braised beef shank tacos with caper chimichurri, lime-cream curry lamb sausage with dosas and raita, pork banh-mi sandwiches with quick pickles, smoked fiochetto ham, and duck confit. Clean layout, thoughtful prose, and many how-to photographs. Choosing to make the photographs black and white, while likely done for cost reasons, makes the overall effect more of a manual and less challenging for the squeamish than it might be if in color. Recipes are traditional and include flour, dairy, and salt. Required FTC disclosure: I received one copy of this book from the publisher for the giveaway on October 27, 2016.